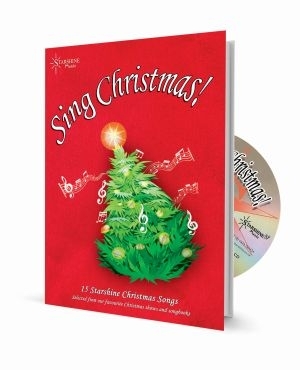 A versatile collection that has something for everyone in the primary school age range, featuring 15 favourites drawn from our Christmas musicals and songbooks. Great core repertoire for school singing. Although all of the songs may be sung in unison, making them suitable for general class singing, several songs have simple two-part harmony and counterpoint options, making them suitable for choirs and concerts. "A great set of Christmas songs for children! There's plenty of variety, with a good mix of styles, both upbeat and reflective. The quality of the instrumental backings is excellent. All in all, this is a superb resource for schools and choirs." ~ D Knight, Headteacher, Somerset. A great set of Christmas songs for children! There's plenty of variety, with a good mix of styles, both upbeat and reflective. The quality of the instrumental backings is excellent. All in all, this is a superb resource for schools and choirs.